I recognise that the instructor is not able to provide me with medical advice in regards to my health and fitness and any information provided is intended to be used as a guideline only. I affirm that I am solely responsible for my health and well-being, as well as my decision to practice yoga, a program of physical exercise. I agree to inform my yoga instructor of any activities or movements which I feel could cause injury to myself. I understand that yoga is not recommended under certain medical conditions and have been cleared by a medical professional regarding the safety of practicing yoga for any conditions listed above. I do not have any physical conditions or disability that would limit my participations or preclude an exercise program. 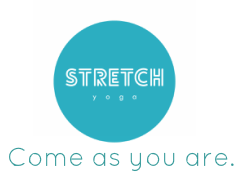 Stretch Yoga and its’ instructors shall not be held liable for any injury, loss or damage to property and/or persons sustained during or as a result of participation in this class. I understand that if I fulfil all the requirements of the Stretch Yoga Teacher Training, including in-class hours, homework, quizzes/topic reviews, final exams, and final teaching practicum, I will receive a letter of completion, which can be submitted to Yoga Australia or Yoga Alliance or a prospective employer as evidence that I have completed a 200/350hr-hour Teacher Training program. I understand that Stretch Yoga reserves the right to ask me to leave the program if my behaviour is inappropriate, unethical, or violates the Yoga Alliance ethical guidelines. Under such circumstances I understand I will not be refunded my tuition. I understand that if I am on a payment plan and miss a scheduled payment, I will not be allowed to attend the training until my payment has been received. I understand that all Stretch Yoga Teacher Training materials are under copyright protection and cannot be reproduced by me without the permission of the author. Failure to comply may result in legal action.